The core argument of Creative Confidence is simple: Everyone can be creative. 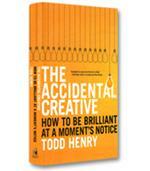 Those who see themselves as non-creative might bristle at the notion. 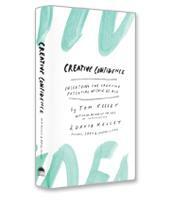 But David Kelley and Tom Kelley make a compelling case that creativity is innate in human beings — all human beings. The difference is that some of us recognize the creativity inside, and others don’t. The goal of Creative Confidence, therefore, is not to teach readers how to be creative but instead to guide them in bringing out the creativity within them. Everyone is creative, the authors argue, but not everyone has the courage to be creative, or take action when they should, or know how to start on a project. These are the types of constraints that people who mistakenly believe they are not creative have to overcome. Many people assume they are not creative simply because they don’t dare to be creative, the authors argue. Too many people are afraid of failure, when in truth, it is through failure that one eventually achieves success and breakthrough. You have to give yourself “permission to fail,” the authors write. You have to make the leap and acknowledge that it might not be a success. “Look for ways to grant yourself creative license, or give yourself the equivalent of a get-out-of-jail-free card,” they write. And if unexpected mistakes do happen, then “own” the mistakes and learn their lessons. Choose creativity. You have to decide to make it happen. Think like a traveler. Don’t just sit in the office and wait for the spark. Expose yourself to new experiences and ideas. Engage relaxed attention. Don’t focus on a specific task; instead relax and allow your mind to make connections between seemingly unrelated ideas. Empathize with your end user. You’ll come up with better ideas if you understand what they want. Ask questions, starting with “why?” A series of “why” questions can lead you past surface details to core issues. Reframe challenges. The first step toward the solution is sometimes to reframe the question. Build a creative support network. Have a group of people to bounce ideas off. Get help. Hire or recruit someone to share the burden, and see what he or she comes up with. Create peer pressure. Author David Kelley discovered that he needs someone in the room to get started, even if they’re not saying anything! Gather an audience. 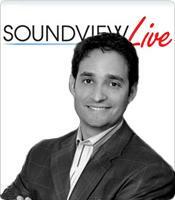 Get someone to listen; then “talk your ideas through to get the creative juices flowing,” write the authors. Do a bad job. This rather surprising suggestion refers to the perfectionism that can lead to paralysis. 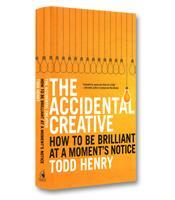 Instead, the authors urge creative innovators to just get something out and then make adjustments. Lower the stakes. Nothing can stop you in your tracks like believing that your decision is “so important that everything hinges on it,” write the authors. Make it less important. Come up with options, and see what happens. These sample to-do lists scratch the surface of the engaging advice and stories offered in Creative Confidence. David Kelley is the founder of IDEO, one of the world’s leading innovation and design firms, and the d.school at Stanford. Both IDEO and the d.school offer numerous examples to support the arguments of the book. Tom Kelley, a partner at IDEO, is the author of the bestsellers The Art of Innovation and The Ten Faces of Innovation, and no doubt this collaboration with his brother will be another well-deserved bestseller.